a.Primary Appointment: Professor of Pathology (with tenure), Professor of Cancer Biology, Department of Pathology, Division of Pathology and Laboratory Medicine, The University of Texas M. D. Anderson Cancer Center. b.Joint Appointment: Professor, Department of Cancer Biology, The University of Texas M. D. Anderson Cancer Center. c.Joint Appointment: Professor, University of Texas Health Science Center, Graduate School of Biomedical Science. University of Texas Graduate School of Biomedical Sciences. Ph.D.
University of Texas Graduate School of Biomedical Sciences, M.S. Beijing University, Beijing, China. B.S. Invited reviewer for the State of Pennsylvania Department of Health Summer 2006 Final Performance Review (April 23-24, 2007). Invited reviewer for the State of Pennsylvania Department of Health 2007 Final Performance Review (July, 2007). Invited reviewer for the State of Pennsylvania Department of Health 2007 Final Performance Review (December, 2007). Invited reviewer for the State of Pennsylvania Department of Health 2007 Final Performance Review (May 2008). NIH R01 CA141432 (Zhang W; Fuller GN). 08/01/2010-7/31/2015. Oncogene cooperation in glioma genesis and progression. NIH U24 CA143835. PI: Ilya Shmulevich; Co-PI: Wei Zhang. 01/01/10 - 31/12/15. Center for Systems Analysis of the Cancer Regulome. National Foundation for Cancer Research grant. PI: Zhang, W. co-PI: Stanley R. Hamilton. NGAL in colon cancer. National Foundation for Cancer Research grant. PI: Zhang, W. 10/1/09-10/1/11. Identification of Prognostic Markers for Colorectal Cancer. Goldhirsh Foundation. PI: Wei Zhang. Validating the IGFBP2-ILK-NFkB pathway in glioma development and progression by a glial specific mouse model. James S. McDonnell Foundation. PI: Zhang W. Control of glioma cell migration by IIp45 and HDAC6. Liddy Shriver Sarcoma Initiative and the Reid R. Sacco Memorial Foundation. (PI: Wei Zhang and Jilong Yang). 08/01/10-07/31/11. Targeting EGFR and IGF-1R in MPNST. NIH/NCI Uterine Cancer SPORE Developmental Project. (PI: Wei Zhang). 09/01/10-08/31/11. Identification of Recurrent Genomic Aberrations as Potential Prognostic Markers and Therapeutic Targets in Endometrial Carcinoma. MDACC MRP CRC Research. (PIs: Wei Zhang and Stanley Hamilton) 09/01/10-08/31/11. Characterization and targeting of the clinically relevant gain-of-function TP53 mutants in CRC. NIH/NCI. 2 R01 ES011740-06A2. PI: Qingyi Wei. 02/01/08 - 01/31/13. Molecular Epidemiology of DNA Repair in Head and Neck Cancer. Role on grant: co-investigator. NIH/NCI 1R21 CA129671 01A1 (PI: Jianhua Hu). 08/01/2009-07/31/2011. Nonparametric analysis of reverse-phase protein lysate array data. Role: Co-investigator. Characterization of leiomyodsarcoma and GIST by Genomics. NIH/NCI. RO1 CA098570-01. PI: Wei Zhang, co-PI: Raphael Pollock. NCI First Award, Texas Higher Education coordinating Board ATP grant and ARP grant, RGK Foundation, DOD Breast Concept grant, Univeristy Cancer Foundation Award, Anthony Bullock III Research fund. NFCR award, Goldhirsh Foundation grant, Commonwealth Foundation for Cancer Research Grant. Computational and Statistical Approaches to Genomics. Zhang W and Shmulevich I Kluwer Academic, 2002. Genomic and Molecualr Neuro-Oncology. Zhang W and Fuller GN, Jones and Bartlett Publishers, 2003. Microarray Quality Control. Zhang W, Shmulevich I, and Astola J. Wiley, 2004. Genomic and Molecular Neuro-Oncology. Zhang W and Fuller GN, eds. Translated into Chinese by Pu P et al. Tianjin Science and Technology Translation Publishing Company, 2005. Gossett, L.A., Zhang, W. and Olson, E. Dexamethasone-dependent Inhibition of Differentiation of C2 Myoblasts Bearing Steroid-Inducible N-ras Oncogene. J. Cell. Biol. 106:2127-2137, 1988. Wessel, G.M., Zhang, W., Tomlinson, C.R., Lennarz, W.J., and Klein, W.H. Selective Transcriptional Dependence on the Extracellular Matrix During Sea Urchin Development. Development. 106:355-365, 1989. Wessel, G. M., Zhang, W., and Klein, W.H. Myosin Heavy Chain Accumulates in Dissimilar Cell Types of the Macromere Lineage in the Sea Urchin Embryo. Developmental Biology. 140:447-454, 1990. Gan, L.*, Zhang, W.*, and Klein, W.H. Repetitive DNA Sequence Linked to the Sea Urchin Spec Genes Contain Transcriptional Enhancer-Like Elements. Developmental Biology. 139:186-196, 1990. *Co-first authors. Zhang, W., Hu, G., and Deisseroth, A. B. Improvement of PCR Sequencing by Formamide. Nucleic Acids Res. 19:6649, 1991. Zhang, W. and Deisseroth, A. B. Effects of Nucleotide Concentration on Specificity of Sequence Amplification. BioTechnique. 11:60-61, 1991. Zhang, W., Hu, G., Estey, E., Hester, J., and Deisseroth, A. B.. Altered Conformation of the p53 Protein in Myeloid Leukemia Cells and Mitogen-stimulated Normal Blood cells. Oncogene. 7:1645-1647, 1992. Zhang, W., Hu, G., and Deisseroth, A. B. Polymorphism at Codon 72 of the p53 Gene in Human Acute Myelogenous Leukemia. Gene. 117:271-275, 1992. Zhang, W., Reading, C., and Deisseroth, A. B. Improved PCR sequencing with formamide. Trends in Genetics. 8:332, 1992. Hu, G., Zhang, W., and Deisseroth, A. B. p53 Gene Mutation in Acute Myelogenous Leukemia. Brit. J. Hematol. 81:489-494, 1992. Kornblau, S.M., Xu, H.-J., del Giglio, A., Hu, S.-X., Zhang, W., Calvert, L., Beran, M., Estey, E., Andreeff, M., Trujillo, J., Cork, A., Smith, T.L., Benedict, W.F., and Deisseroth, A. B. Clinical Implications of Decreased Retinoblastoma Protein Expression in Acute Myelogenous Leukemia. Cancer Res. 52:4587-4590, 1992. Zhang, W., Hittelman, W., Van, N., Andreeff, M., and Deisseroth, A. B. The Phosphorylation of Retinoblastoma Gene Product in Human Myeloid Leukemia Cells During the Cell Cycle. Biochem. Biophys. Res. Commun. 184:212-216, 1992. Zhang, W., Drach, J., Andreeff, M., and Deisseroth, A.B. Proliferation of Hematopoietic Cells is Accompanied by Suppressed Expression of Heat Shock Protein 70. Biochem. Biophys. Res. Commun. 183:733-738, 1992. Kantarjian, H., Talpaz, M., Wetler, M., O'Brien, S., Estey, E., Plunkett, W., Zhang, W., Keating, M. J., and Deisseroth, A. B. Chronic myelogenous leukemia in blastic phase: A model of heterogeneity and resistance in acute leukemia. Blut 34:214-221, 1992. Zhang, W., Funk, W., Wright, W., Shay, J., and Deisseroth, A. B. Novel DNA Binding of p53 Mutants and Their Role in Transcriptional Activation. Oncogene 8: 2555-2559, 1993. Zhang, W., Cork, A., Trujillo, J., Calvert, L., Hu, G., Andersson, B., and Deisseroth, A. B. Mutations of the p53 Gene Are Associated with Genetic Instability and Immortalization in Myelogenous Leukemia. Cancer Res., Therapy and Control. 3:139-144, 1993. Zhang, W., Shay, J., and Deisseroth, A. B.. Inactive p53 Mutants may Enhance the Transcriptional Activity of Wild-type p53. Cancer Res. 83:4772-4775, 1993. Zhang, W., Guo, X.-Y., Hu, G.-Y., Liu, W.-B., Shay, J. W., and Deisseroth, A. B. A Temperature Sensitive Mutant of human p53. EMBO J. 13:2535-2544, 1994. Zhang, W., Randhawa, G. S., Guo, X. -Y., and Deisseroth, A. B. DNA binding and transcriptional activation abilities are necessary but not sufficient for the antiproliferative function of p53. Cell Growth & Differentiation 5:705-710, 1994. Kornblau, S.M., Xu, H.-J., Zhang, W.,, Beran, M., Smith, T.L., Benedict, W.F., and Deisseroth, A. B. Clinical Implications of Decreased Retinoblastoma Protein Expression in Acute Myelogenous Leukemia. Blood 84:256-261, 1994. Zhang, W. and Deisseroth, A. B. Conformational Change of p53 Protein in Growth Factor-Stimulated Human Myelogenous Leukemia Cells. Leukemia and Lymphoma 14:251-255, 1994. Zhang, W., Guo, X.-Y., and Deisseroth, A. B. The requirement of the carboxyl terminus of p53 for DNA binding and transcription activation depends on the specific p53 binding DNA element. Oncogene 9:2513-2521, 1994. Zhang, W., McClain, C. D., Gau, J-P., Guo, X.-Y., and Deisseroth, A. B. Hyperphosphorylation of p53 by Okadaic Acid Attenuates its Transcriptional Activation Function. Cancer Res. 54:4448-4453, 1994. Zhang, W., Grasso, L., McClain, C. D., Gambel, A. M., Cha, Y., Travali, S., Deisseroth, A. B., and Mercer, W. E. p53-independent Induction of WAF1/Cip1 in human myeloid leukemia cells is correlated with growth arrest accompanying monocyte/macrophage differentiation. Cancer Res. 55:668-674, 1995. Zhang, W., Xu, H-J., Kornblau, S., Drach, J., Hu, S-X, Andreeff, M., Benedict, W., and Deisseroth, A. B. Growth Factor Stimulation Reveals Two Mechanisms of Retinoblastoma Gene Inactivation in Human Myelogenous Leukemia Cells. Leukemia and Lymphoma 16:191-198, 1995. Owen-Schaub, L.B., Zhang, W., Cusack, J., Angelo, L. S., Santee, S. M., Fujiwara, T., Roth, J. A., Deisseroth, A. B., Zhang, W.-W., Kruzel, E., and Radinsky, R. Wild-type and a temperature-sensitive mutant of human p53 induce Fas/APO-1 expression. Mol Cell Biol. 15:3032-3040, 1995. Zhang, W., Kornblau, S. M., Kobayashi, T., Gambel, A., McClain, C. D., Claxton, D., and Deisseroth, A. B. High levels of constitutive WAF1/Cip1 protein are associated with chemoresistance in acute myelogenous leukemia. Clinical Cancer Res. 1:1051-1057, 1995. Jung, J. M., Li, H., Kobayashi, T., Kyritsis, A., Bruner, J., Langford, L., Levin, V., and Zhang, W. The inhibition of human glioblastoma cell growth by WAF1/Cip1 can be attenuated by mutant p53. Cell Growth & Differentiation. 6:909-913, 1995. Fueyo, J., Gomez-Manzano, C., Yung, W. K. A., Zhang, W., Lee, P. S. Y., Majumder, S., Pershouse, M., Levin, V. A., and Kyritsis, A. P. A frequency polymorphism of the p16/CDKN2 gene. Mol. Cell. Probe 9:465-466, 1995. Kobayashi, T., Consoli, U., Andreeff, M., Shiku, H., Deisseroth, A.B., and Zhang, W. Activation of WAF1/Cip1 by a temperature sensitive mutant of human p53 does not lead to apoptosis. Oncogene 11:2311-2316, 1995. Jung, J.M., Bruner, J.M., Ruan, S.-B., Langford, L., Kyritsis, A.P., Kobayashi, T., Levin, V.A., and Zhang, W. Increased levels of p21WAF1/Cip1 in human brain tumors. Oncogene 11:2021-2028, 1995. Zhang, W., Randhawa, G., Gau, J.-P., Shay, J. W., and Deisseroth, A. B. The first intron of human H-ras oncogene is regulated by p53: Mediation of specific activation by a p53-binding element. Int. J. Oncol. 7:1021-1028, 1995. Kyritsis, A. P., Zhang, B.-H., Zhang, W., Xiao, M., Takeshima, H., Bondy, M. L., Cunningham, J. E., Levin, V. A., Bruner, J. Mutations of the p16 gene in gliomas. Oncogene 12:63-67, 1996. Zhang, W., Piatyszek, M. A., Kobayashi, T., Estey, E., Andreeff, M., Deisseroth, A. B., and Shay, J. W. Detection of telomerase activity in human acute myelogenous leukemia and modulation of the activity by differentiation-inducing agents. Clinical Cancer Res. 2:799-803, 1996. Munker, R., Kobayashi, T., Elstner, E., Norman, A. W., Uskokovic, M., Zhang, W., Andreeff, A., and Koeffler, H. P. A new series of vitamin D analogs is highly active for clonal inhibition, differentiation, and induction of WAF1 in myeloid leukemia. Blood. 88:2201-2209, 1996. Fueyo, J., Gomez-Manzano, C., Bruner, J. M., Saito, Y., Zhang, B., Zhang, W., Levin, V. A., Yung, W. K. A., and Kyritsis, A. P. Hypermethylation of the CpG island of p16/CDKN2 correlates with gene inactivation in glioma. Oncogene 13:1615-1619, 1997. Kobayashi, T., Clodi, K., Yang, Y., Ruan, S., Shiku, H., Andreeff, M., Shay, J., and Zhang, W. Inhibition of telomerase activity correlates with a decrease in the RNA component of telomerase during differentiation. Int. J. Oncol 11:13-17, 1997. Consoli, U., Li, H., Huang, P., Kobayashi, T., Andreeff, M., Levin, V., and Zhang, W. Perturbation of G2 arrest and enhancement of DNA break and micronucleation in irradiated glioblastoma cells by pentoxifylline. Oncology Report 4:673-678, 1997. Grau, A.M., Zhang, L., Wang, W, Ruan, S.-B., Evans, D.B., Abbruzzese, J.L., Zhang, W., and Chiao, P.J. Induction of p21/WAF1 expression and growth inhibition by transforming growth factor-b involve the tumor suppressor gene DPC4 in human pancreatic adenocarcinoma cells. Cancer Res. 57:3929-3934, 1997. Ruan, S.-B., Fuller, G., Levin, V., Bruner, J., and Zhang, W. Expression of p21/WAF1/Cip1 in brain metastases. J. Neuro-Oncology 37:223-228, 1998. Kobayashi, T., Ruan, S.-B., Jabbur, J. R., Consoli, U., Clodi, K., Shiku, H., Owen-Schaub, L., Andreeff, M., Reed, J., and Zhang, W. Differential p53 phosphorylation and activation of apoptosis-promoting genes Bax and Fas/APO-1 by radiation and ara-C treatment. Cell Death and Differentiation 5:584-591, 1998. Kobayashi, T., Ruan, S.B., Clodi, K., Kliche, K-O., Shiku, H., Andreeff, M., and Zhang, W. Overexpression of bax gene sensitizes K562 erythroleukemia cells to apoptosis induced by selective chemotherapy agents. Oncogene 16:1587-1591, 1998. Sinicrope, F. A., Roddey, G., Lemoine, M., Ruan, S.-B., Stephens, L. C., Frazier, M., Shen, Y., and Zhang, W. 1998. Loss of p21WAF1/Cip1 protein expression accompanies progression of sporadic colorectal neoplasms but not hereditary nonpolyposis colorectal cancers. Clinical Cancer Res. 4:1251-1261. Ruan, S.B., Okcu, M.F., Ren, J.P., Clodi, K., Andreeff, M., Chiao, P., Levin, V., and Zhang,W. Overexpressed p21/WAF1/Cip1 renders glioblastoma cells resistant to chemotherapy agents BCNU and cisplatin. Cancer Res. 58:1538-1543. 1998. Rhee, C.H., Hess, K., Jabbur, J., Ruiz, M., Chen, S., Yang, Y., Chenchik, A., Fuller, G.N., and Zhang, W. Heterogeneous gene expression profiles in three human glioblastoma cell lines. Oncogene 18:2711-2717, 1999. Ruan, S.B., Okcu, M.F., Andreeff, M., Levin, V., Hsieh, J.T., and Zhang, W. Attenuation of p21/WAF1/Cip1 expression mediated by antisense adenovirus vector sensitizes glioma cells to chemotherapeutic agents BCNU and cisplatin. Clinical Cancer Res. 5:197-202, 1999. Shim, C., Zhang, W., Rhee, C.H., and Lee, J.H. Profiling of differentially expressed genes in human cervical cancer by complementary DNA expression array. Clinical Cancer Res.4:3045-3050, 1998. Rhee, C.H., Ruan, S.B., Chen, S., Chenchik, A., Levin, V, Yung, A., Fuller, G.N., and Zhang, W. Characterization of cellular pathways involved in glioblastoma response to the chemotherapeutic agent 1,3-Bis(2-chloroethyl)-1-nitrosourea (BCNU) by gene expression profiling. Oncology Reports 6:393-401, 1999. Fuller, G.N., Rhee, C.H., Hess, K., Caskey, L., Wang, R., Bruner, J.M., Yung, W.K.A., and Zhang, W. Reactivation of insulin-like growth factor binding protein 2 expression in glioblastoma multiforme: a revelation by parallel gene expression profiling. Cancer Res. 59:4228-4332, 1999. Chiao PJ, Hunt KK, Grau AM, Abramian A, Fleming J, Zhang W, Breslin T, Abbruzzese JL, Evans DB Tumor suppressor gene Smad4/DPC4, its downstream target genes, and regulation of cell cycle. Ann N Y Acad Sci 880:31-7, 1999. Caskey, L., Fuller, G.N. Bruner, J., Yung, A.W. K., Sawaya, R., Holland, E., and Zhang, W. Toward a molecular classification of gliomas: from pathological to genomic methodologies. Histology and Histopathology 15:971-981, 2000. Sawa H, Kobayashi T, Mukai K, Zhang W, Shiku H. Bax overexpression enhances cytochrome c release from mitochondria and sensitizes KATOIII gastric cancer cells to chemotherapeutic agent-induced apoptosis. Int. J. Oncol. 16:745-749, 2000. Feng L, Achanta G, Pelicano H, Zhang W, Plunkett W, and Huang P. Role of p53 in Cellular Response to Anticancer Nucleoside Analog-Induced DNA Damage. Int. J. Mol. Medicine 5:597-604, 2000. Pearson AS, Chiao P, Zhang L, Zhang W, Larry L, Katz RL, Evans DB, and Abbruzzese JL. The detection of telomerase activity in patients with adenocarcinoma of the pancreas by fine needle aspiration. Int. J of Oncol 17:0-00, 2000. Kobayashi T, Sawa H, Morikawa J, Zhang W, and shiku H: Bax-induction activates apoptosis cascade via mitochondrial cytochrome c release and Bax-overexpression enhances apoptosis induced by chemotherapeutic agents in DLD-1 colon cancer cells. Jpn. J. Cancer Res., 91:12, 2000. Jabbur J.R., Huang P., and Zhang, W. DNA damage-induced phosphorylation of p53 at serine 20 correlates with p21 transactivational induction in vivo. Oncogene 19:6203-6208, 2000. Jabbur J, Huang P, and Zhang W. Enhancement of the antiproliferative function of p53 by phosphorylation at serine 20: an inference from site-directed mutagenesis studies. Int. J Mol. Medicine. 2001 7:163-168, 2001. Hess, KR, Zhang W, Baggerly KA, Stivers DN, Coombes KR. Microarrays: handling the deluge of data and extracting reliable information. Trend in Biotechnology 19:463-468, 2001. Zhang W, Laborde P, Coombes K, Berry D, Hamilton S. Cancer Genomics: promises and complexities. Clin. Cancer Res. 7:2159-2167, 2001. Taylor E, Cogdell D, Coombes K, Hu L, Ramdas L, Hamilton S, and Zhang W. Sequence verification as quality control step for production of cDNA microarray. Biotechniques 31:62-65, 2001. Ramdas L, Wang J, Hu L, Cogdell D, Taylor E and Zhang W. Comparative Evaluation of Laser-based Microarray Scanners. Biotechniques 31:546-553, 2001. Lee S-H, Cho YS, Shim CS, Choi JJ, Oh SH, Kim JW, Zhang W, and Lee JH. Aberrant expression of Smad3 and Smad4 results in resistance against growth inhibitory effect of transforming growth factor beta (TGF-beta) in human cervical carcinoma cell lines. Int. J cancer. 94:500-507, 2001. Lee S-H, Zhang W, Choi JJ, Cho YS, Lee SH, Kim JW, Hu L, Xu J, Liu J, and Lee JH. Overexpression of thymosin beta 10 gene in human ovarian cancer cells disrupts F-actin stress fiber and leads to apoptosis. Oncogene 20:6700-6706, 2001. Baggerly KA, Coombes KR, Hess KR, Stivers DN, Abruzzo LV, and Zhang W. Accurately measuring differentially expressed genes in cDNA microarray experiments. J Computational Biology 8:639-659, 2001. Hess KR, Fuller GN, Rhee HR, and Zhang W. Statistical pattern analysis of gene expression profiles of glioblastoma tissues and cell lines. Int. J. Mol Med 8:183-8, 2001. Ramdas L, Coombes KR, Baggerly KA, Abruzzo L, Highsmith WE, Krogmann T, Hamilton SR, and Zhang W. Linearity of cDNA microarray expression measurement: caveats, serial dilutions, and quality control. Genome Biology 2(11):research0047.1-0047.7, 2001. Jabbur JR and Zhang W. p53 Antiproliferative Function is Enhanced by Aspartate substitution at Threonine 18 and Serine 20. Cancer Biology and Therapy 1:275-281, 2002. Ballal K, Zhang W, Plunkett W, and Huang P. p53 supresses genetic mutation in cells under DNA replication stress caused by imbalance of cellular dNTP pools. J Mol Medicine 80:25-32, 2002. Hu L, Wang J, Baggerly K, Wang H, Fuller GN, Hamilton SR, Coombes KR, Zhang W. Obtaining Reliable Information from Minute Amounts of RNA Using cDNA Microarrays. BMC Genomics 3:16, 2002. Shmulevich I, Dougherty ER, Kim S, and Zhang W. Probabilistic Boolean network: a rule-based uncertainty model for gene regulatory networks. Bioinformatics 18:261-274, 2002. Hu L, Cogdell D, Jia Y, Hamilton SR, and Zhang W. Monitoring of microarray production with a common oligonucleotide and specificity with selected targets. Biotechniques 32:528-534, 2002. Shmulevich I and Zhang W. Binary analysis and optimization-based normalization of gene expression data. Bioinformatics 18:555-565, 2002. Fuller GN, Hess KR, Rhee CH, Yung WKA, Sawaya RA, Bruner JM, and Zhang W. Molecular classification of human diffuse gliomas by multidimensional scaling analysis of gene expression profiles parallels morphology-based classification, correlates with survival, and reveals clinically-relevant novel glioma subsets. Brain Pathology 12:108-116, 2002. Zhang W, Wang H, Song SW, and Fuller GN. Insulin-like growth factor binding protein 2: gene expression microarrays and hypothesis-generation paradigm. Brain Pathology 12:87-94, 2002. Wang HM, Wang H, Zhang W, and Fuller GN. Tissue microarrays: applications in neuropathology research, diagnosis, and education. Brain Pathology 12:95-107, 2002. Kobayashi T, Sawa H, Morikawa J, Ueno S, Katayama N, Zhang W., Shiku H. Bax-induction alone is sufficient to activate apoptosis cascade in wild-type Bax-bearing K562 cells, and the initiation of apoptosis requires simultaneous caspase activation. Int. J. Oncology 20:723-728, 2002. Choi W, Song SW, and Zhang W. Understanding cancer through proteomics. Technology in Cancer Research and Treatment. 1:211-230, 2002. Shmulevich I, Dougherty ER, and Zhang W. Gene perturbation and intervention in probabilistic Boolean network. Bioinformatics 18:1319-31, 2002. Shmulevich, I., Dougherty, E. R., and Zhang, W. Control of stationary behavior in Probabilistic Boolean Networks by means of structural intervention. Journal of Biological Systems 10:431-445, 2002. Dunmire V, Wu C, Symmans WF, and Zhang W. Increased yield of total RNA from fine needle aspirates in RNAlater for use in expression microarray analysis. Biotechniques 33:890-2, 894, 896, 2002. Jabbur JR, Tabor AD, Cheng X, Wang H, Uesugi M, Lozano G, and Zhang W. Phosphorylation at threonine 18 of p53 alters hydrogen bonding attenuating mdm2 binding and TAFII31 recruitment. Oncogene 21:7100-7113, 2002. Kim S, Dougherty ER, Shmulevich I, Hess KR, Hamilton SR, Trent JM, Fuller GN, and Zhang W. Finding strong gene sets for classification of gliomas. Mol. Cancer Therapeutics 1:1229-1236, 2002. Fuller CE, Wang H, Zhang W, Fuller GN, and Perry A. High-throughput molecular profiling of high-grade astrocytomas: the utility of fluorescence in situ hybridization on tissue microarrays (TMA-FISH). J Neuropathol Exp Neurol. 61:1078-84, 2002. Lee SH, Kim J-W, Lee, HW, Cho Y, Oh S, Jung C, Zhang W, Lee JH. Interferon regulatory factor-1 (IRF-1) is a mediator for interferon-g induced attenuation of telomerase Activity and human telomerase reverse transcriptase (hTERT) expression. Oncogene 22:381-91, 2003. Shmulevich I, Dougherty ER, and Zhang W. From Boolean to probabilistic Boolean networks as models of genetic regulatory networks. Proceedings of the IEEE 90:1778-1792, 2002. Wang J, Hu L, Hamilton SR, Coombes KR, and Zhang W. Evaluating the performance of two RNA amplification strategies for cDNA microarray experiments. Biotechniques 34:394-400, 2003. Kobayashi T, Yamaguchi M, Kim S, Morikawa J, Ogawa S, Ueno S, Suh E, Dougherty E, Shmulevich I, Shiku H, and Zhang W. Microarray reveals differences in both tumor and vascular specific gene expression in de novo CD5+ and CD5- diffuse large B-cell lymphomas. Cancer Res. 63:60-66, 2003. Shmulevich I, Astola J, Cogdell D, Hamilton SR, and Zhang W. Data extraction from composite oligonucleotide microarrays Nucleic Acid Research 31:e36, 2003. Park MJ, Park IC, Bae IJ, Zhang W, Seo KM, Lee SH, Hong SI, Eun CK, Rhee CH. Arsenolite (solid As4O6), a novel inhibitor of angiogenesis. International J Oncology. 22(6):1271-1276, 2003. Davis DW, McConkey DJ, Zhang W, Herbst RS. Antiangiogenic tumor therapy. Biotechniques 34(5):1048-50, 1052, 1054 passim, 2003. Morikawa J, Li H, Kim S, Nishi K, Ueno S, Suh E, Dougherty E, Shmulevich I, Shiku H, Zhang W, and Kobayashi T. Identification of signature genes by microarray for acute myeloid leukemia without maturation and acute promyelocytic leukemia with t(15;17)(q22;q12)(PML/RARa) International J Oncology 23(3):617-25, 2003 . Shmulevich I, Lahdesmaki H, Dougherty ER, Astola J, and Zhang W. The Role of Certain Post Classes in Boolean Network Models of Genetic Networks. Proc Natl Acad Sci USA. 100:10734-10739, 2003. Wang H, Wang H, Shen W, Huang H, Hu L, Ramdas L, Zhou Y, Liao WSL, Fuller GN, and Zhang W. Insulin-like Growth Factor Binding Protein 2 Enhances Glioblastoma Invasion via Activation of Invasion Enhancing Genes. Cancer Res. 63:4315-4321, 2003. Kobayashi T, Kim S, Zhang W. Gene expression profiling of de novo CD5-positive diffuse large B-cell lymphoma. Rinsho Ketsueki (in Japanese). 44(3):144-8, 2003. Wang H, Shen SS, Wang H, Diwan AH, Zhang W, Fuller GN, and Prieto VG. Expression of insulin-like growth factor binding protein 2 in melanocytic lesions. J. Cutaneous Pathology. 30:599-606, 2003. Zhang W, Ramdas L, Shen WP, Song WS, Hu L, Hamilton SR. Apoptotic Response to 5-Fluorouracil Treatment is Mediated by Reduced Polyamines, Non-Autocrine Fas Ligand and Induced Tumor Necrosis Factor Receptor 2. Cancer Biol Ther. 2(5):572-8, 2003. Koh JS, Trent J, Chen L, El-Naggar A, Hunt K, Pollock R, and Zhang W. Gastrointestinal stromal tumors (GIST): overview of pathologic features, molecular biology, and therapy with imatinib. Histology and Histopathology 19:565-574, 2004. Mircean C, Tabus I, Kobayashi T, Yamaguchi M, Shiku H, Shmulevich I, Zhang W. Pathway analysis of informative genes from microarray data reveals that metabolism and signal transduction genes distinguish different subtypes of lymphomas. International Journal of Oncology 24:497-504, 2004. Giurcaneanu CD, Tabus I, Shmulevich I, Zhang W. Clustering genes and samples from glioma microarray data. The First South-East European Symposium on Interdisciplinary approaches in fractal analysis, Bucharest, Romania, May 7-10, 2003. Giurcaneanu CD, Tabus I, Shmulevich I, Zhang W. Stability-based cluster analysis applied to microarray data. ISSPA 2003, Seventh International Symposium on Signal Processing and its Applications, 1-4 July 2003, Paris, FRANCE. Lahdesmaki H, Hao X, Sun B, Hu L, Yli-Harja O, Shmulevich I & Zhang W. Distinguishing key biological pathways between primary breast cancers and their lymph node metastases by gene function-based clustering analysis. International Journal of Oncology 24:1589-1596, 2004. Hao X, Sun B, Hu L, Ladhdesmaki H, Dunmire V, Feng Y, Zhang SW, Wang H, Wu C, Wang H, Fuller GN, Symmans WF, Shmulevich I, and Zhang W. Distinctive gene and protein expression between primary breast cancers and their lymph node metastases revealed by combined cDNA microarray and tissue microarray. Cancer Published on line in Feb 2004. 100:1110-22, 2004. Song SW, Fuller GN, Khan A, Kong S, Shen W, Taylor E, Ramdas L, Lang F, and Zhang W. IIp45, a novel IGFBP-2 binding protein, inhibits glioma cell invasion. Proc Natl Acad Sci USA (Track II) 100:13970-75, 2003. Shmulevich I, Gluhovsky I, Hashimoto RF, Dougherty ER, and Zhang W. Steady-state analysis of genetic regulatory networks modeled by probabilistic Boolean networks. Comparative and Functional Genomics 4:601-608, 2003. Xu ZX, Zhao RX, Ding T, Tran T, Zhang W, Pandolfi PP, and Chang KS. PML Induces Apoptosis by Inhibition of Survivin Expression. J Biol Chem, 279: 1838-1844, 2004. Hashimoto RF, Kim S, Shmulevich I, Zhang W, Bittner ML, and Dougherty ER. A directed-graph algorithm to grow genetic regulatory subnetworks from seed genes based on strength of connection. Bioinformatics 20:1241-7, 2004. Raza SM, Fuller GR, Rhee CH, Huang S, Hess KR, and Zhang W, and Sawaya R. Identification of necrosis-associated genes in glioblastoma by cDNA microarray analysis. Clin Cancer Res 10:212-221, 2004. Fujioka S, Schmidt C, Sclabas GM, Pelicano HM, Yao A, Niu J, Zhang W, Evans DB, Abbruzzese JL, Huang P, Chiao PJ. NF-kB induces p53-dependent pro-apoptotic signaling J Biol Chem 279:27549-59. e-pub April 2004. Ramdas L, Cogdell DE, Jia YJ, Taylor E, Dunmire V, Hu L, Hamilton SR, and Zhang W. Optimization of Signal Intensities for Low Expressing Genes on Oligonucleotide Microarrays. BMC Genomics 5:35, 2004. Wang H, Wang H, Zhang W, Huang H, Liao W, and Fuller GN. Activation of Akt and Up-regulation of NFkB Correlates with Histologic Grade in Human Diffuse Gliomas: An Immunohistochemical Tissue Microarray Study of 259 Tumors. Lab Investigation 84:941-951, 2004. Fuller GN, Mircean C, Tabus I, Sawaya R, Bruner JA, Taylor E, Shmulevich I, Zhang W. Molecular Voting For Glioma Classification Reflecting Heterogeneity in the Continuum of Cancer Progression. Oncology Reports 1. 14: 651-656, 2005. Sun BC, Zhang SW, Zhao X, Zhang W., and Hao X. Vasculogenic Mimicry Is Associated with Poor Survival in Patients with Mesothelial Sarcomas and Alveolar Rhabdomyosarcomas. Int. J Oncol. 25:1609-14, 2004. Niemisto A, Dunmire V, Yli-Harja O, Zhang W, and Shmulevich I. Automated quantification of in vitro angiogenesis through image analysis. IEEE Transactions on Medical Imaging 24(4):549-53, 2005. Niemisto A, Hu L, Yli-Harja O, Zhang W, Shmulevich I. Quantification of in vitro cell invasion through image analysis. Conf Proc IEEE Eng Med Biol Soc. 2004;3:1703-6. Chinthariapalli S, Smith III R, Samudio I, Zhang W, Safe S. 1,1-Bis(3'-indolyl)-1-(p-substituteddphenyl)methanes induce peroxisome proliferator-activated receptor g-mediated growth inhibition, transactivation and differentiation markers in colon cancer cells. Cancer Res. 64(17):5994-6001, 2004. Sclabas GM, Frederick WAI, Fujioka S, Schmidt C, Yang W, Yokoi K, Evans DB, Denny A, Abbruzzese J, Hess KR, Zhang W, Fidler IJ, and Chiao P. Overexpression of TrkB receptor tyrosine kinase in highly metastatic human pancreatic cancer cells. Clin. Cancer Res. 2005 Jan 15;11(2 Pt 1):440-9. Mircean C, I. Tabus, J. Astola, T. Kobayashi, H. Shiku, M. Yamaguchi, I. Shmulevich, W. Zhang. Quantization and similarity measure selection for discrimination of lymphoma subtypes under k-nearest neighbor classification.Proceedings of SPIE Photonics West, Biomedical Optics, San Jose, CA, Jan. 24-29, 2004. Symmans WF, Fiterman DJ, S K Anderson, M Ayers, R Rouzier, V Dunmire, J Stec, V Valero, N Sneige, C Albarracin, Y Wu, J S Ross, P Wagner, R L Theriault, B Arun, H Kuerer, K R Hess, W Zhang, G N Hortobagyi and L Pusztai. A single-gene biomarker identifies breast cancers associated with immature cell type and short duration of prior breastfeeding. Endocrine Related Cancer 12: 1059-1069, 2005. Chen LL, Trent JC, Wu EF, Fuller GN, Ramdas L, Zhang W, Raymond AK, Prieto VG, Oyedeji CO, Hunt KK, Pollock RE, Feig BW, Hayes K, Choi H, Macapinlac HA, Hittleman W, Velasco MA, Patel S, Burgess MA, Benjamin RS, Frazier ML. A missense mutation in KIT kinase domain I correlates with imatinib resistance in gastrointestinal stromal tumors. Cancer Res 64:5913-5919, 2004. Niemist�, A., L. Hu, O. Yli-Harja, W. Zhang, I. Shmulevich, "Quantification of in Vitro Cell Invasion through Image Analysis," in Proceedings of the 26th Annual International Conference of the IEEE Engineering in Medicine and Biology Society (EMBS'04), San Francisco, California, USA, Sep. 1-5, 2004. Lee E, Mircean C, Shmulevich I, Wang H, Liu J, Niemisto A Kavanagh J, Lee JH, and Zhang W. Insulin-like growth factor binding protein 2 promotes ovarian cancer cell invasion. Mol Cancer Feb 2;4(1):7 [Epub ahead of print]. Trent J, Dupart J, and Zhang W. Imatinib mesylate: Targeted therapy of gastrointestinal stromal tumor. Current Cancer Therapy Reviews 1:93-108, 2005. Choi W, Gerner E, Ramdas L., Dupart J, Carew J., Huang P, Zhang W, and Hamilton SR. Combination of 5-fluouracil with diethylnorspermine markedly activates SSAT expression, depletes polyamines, and synergistically induces apoptosis in colon cancer cells. J. Biol Chem. 280(5):3295-304, 2005. Song SW, Fuller GN, Zheng H, and Zhang W. Inactivation of the invasion inhibitory protein gene IIp45 in gliomas by alternative splicing. Cancer Res. 65:3562-7, 2005. Wang GK and Zhang W. Signaling network of cancer invasion. Histology and Histopathology 20:593-602, 2005. Kim J-H, Tuziak T, Hu L, Gold D, Wang Z, Bondaruk J, Fuller GN, Dinney C, Grossman HB, Baggerly K, Zhang W, Czerniak B. Alterations in Transcription Clusters of Key Cellular Functions Underlie Development of Bladder Cancer from in situ Preneoplastic Conditions along Papillary and Non-papillary Pathways. Lab Investigation. 85:532-49, 2005. Lahdesmaki H, Shmulevich I, Dunmire V, Zhang W. In silico microdissection of microarray data from mixed cell populations. BMC Bioinformatics. 6(1):54, 2005. Neto AG, McCutcheon IE, Vang R, Spencer ML, Zhang W, Fuller GN. Elevated expression of p21 (WAF1/Cip1) in hormonally active pituitary adenomas. Ann Diagn Pathol. 2005 Feb;9(1):6-10. McDonald JM, See S, Tremont I, Colman H, Gilbert M, Groves M, Burger P, Louis DN, Giannini C, Fuller GN, Passe S, Blair H, Jenkins RB, Yang H, Ledoux A, Tipnis U, Zhang W, Hess K, Aldape K. Prognostic impact of histology and 1p/19q status in anaplastic oligodendroglioma. Cancer 104(7):1468-77, 2005. Lin Q, Lai R, Li C, Chirieac LR, Grammatikakis I, Thomazy VA, Rassidakis GZ, Zhang W, Fujio Y, Kunisada K, Hamilton SR, and Amin HM. Constitutive activation of JAK3/STAT3 in colon carcinoma tumors and cell lines: inhibition of JAK3/STAT3 signaling induces apoptosis and cell cycle arrest of colon carcinoma cells. Am J Pathology 167(4):969-80, 2005. Ueno S, Yamaguchi M, Kimura M, Odagiri H, Shiraki K, Uemoto S, Nakamura N, Zhang W, Shiku H, and Kobayashi T. Expression of CD29 on lymphoma cells and/or CD36 on microvascular endothels correlates with high serum LDH level in diffuse large B-cell lymphomas (DLBCLs) and is frequent in de novo CD5-positive DLBCLs International Journal of Oncology 27(5):1241-1246, 2005. Hu J, Kapoor M, Zhang W, Hamilton SR, Coombes K. Analysis of dose-response effects on gene expression data with comparison of microarray platforms. Bioinformatics 1;21(17):3524-9, 2005. Tabus I, Hategan A, Mircean C, Rissanen J, Shmulevich I, Zhang W, Astola J. Nonlinear modeling of protein expression in protein arrays. IEEE Transactions on Signal Processing. 54:2394-2407, 2006. McDonald JM, Dunmire V, Cogdell D, Sawaya R, Bruner J, Fuller GN, Aldape K, and Zhang W. Attenuated expression of the DFF40/CAD/DFFB gene is a hallmark of oligodendrogrliomas with deletion of chromosome 1p. Mol Cancer 4:35, 2005. Niemisto A, Dunmire V, Yli-Harja O, Zhang W, Shmulevich I, Analysis of angiogenesis using in vitro experiments and stochastic growth models. Physical Review E 72:62902-5, 2005. Jiang R, Mircean C, Shmulevich I, Cogdell D, Jia Y, Aldape K, Sawaya R, Bruner J, Fuller GN, and Zhang W. Pathway alterations during glioma progression revealed by reverse phase protein lysate arrays. Proteomics 6:2964-2971, 2006. (featured on the cover of April issue). Nykter M, Hunt KK, Pollock RE, El-Naggar AK, Taylor E, Shmulevich I, Yli-Harja O, and Zhang W. Unsupervised analysis uncovers changes in histopathologic diagnosis in supervised genomic studies. Technology in Cancer Research and Treatment. 5:177-182, 2006. Choi Y, Shimogawa H, Murakami K, Ramdas L, Zhang W, Qin J, and Uesugi M. Chemical genetic identification of a STAT-linked pathway that modulates the insulin-like growth signaling. Chemistry and Biology 13(3):241-9, 2006. .
Wang H, Wang H, Zhang W., Fuller GN. Overexpression of IGFBP5, But Not IGFBP3, Correlates With the Histologic Grade Of Human Diffuse Glioma: A Tissue Microarray and Immunohistochemical Study. Technology in Cancer Research and Treatment . 5(3):195-200, 2006. Korbling M, Reuben JM, Gao H, Lee BN, Harris DM, Cogdell D, Giralt SA, Khouri IF, Saliba RM, Champlin RE, Zhang W, Estrov Z. RhG-CSF mobilized and apheresis-collected endothelial progenitor cells: a novel blood cell component for therapeutic vasculogenesis. Transfusion 46:1795-1802, 2006. Choi W, Proctor L, Xia Q, Feng Y, Gerner EW, Chiao PJ, Hamilton SR, Zhang W. Inactivation of IkB contributes to transcriptional activation of spermidine/spermine N(1)-acetyltransferase. Mol Carcinogenesis. 45(9):685-93, 2006. Wang G, Hu L, Fuller GN, Zhang W. An interaction between insulin-like growth factor binding protein 2 and integrin a5 is essential for IGFBP2-induced cell mobility J. Biol. Chem. 281(20):14085-91, 2006. Steinert DM, Oyarzo M, Wang X, Choi H, Thall PF, Medeiros LJ, Raymond AK, Benjamin RS, Zhang W, Trent JC. Expression of Bcl-2 in gastrointestinal stromal tumors: correlation with progression-free survival in 81 patients treated with imatinib mesylate. Cancer. 106(7):1617-23, 2006. Wang H, Rosen DG, Wang H, Fuller GN, Zhang W, and Liu J. Insulin-like growth factor binding protein 2 and 5 are differentially regulated in ovarian cancer of different histologic types. Modern pathology 19(9):1149-56, 2006. Trent JC, Ramdas L, Dupart JJ, Hunt K, Oyedeji C, Taylor EE, Hu L, Chen LL, Benjamin RS, Pollock R, and Zhang W. Imatinib Mesylate Induces Expression of Insulin-like Growth Factor Binding Protein 3 in Gastrointestinal Stromal Tumor. Cancer 107(8):1898-908, 2006. Pelicano H, Sasaki R, Feng L, Ramdas L, Hu L, Keating MJ, Zhang W, Plunket W and Huang P. Mitochondrial Respiration Defect in Cancer Cells Leads to Activation of Akt Pathway. J. Cell Biol. 175(6):913-23, 2006. Sun BC, Zhang SW, Zhang DF, Du J, Guo H, Zhao XL, Zhang W, and Hao XS, Vasculogenic mimicry is associated with high tumor grade, invasion and metastasis, and short survival in patients with hepatocellular carcinoma. Oncology Report 16(4):693-8, 2006. Yount G, Taft R, Luu T, Rachlin K, Hall J, Wendell C, Moore D, Aldape K, Zhang W. Independent Motile Microplast Formation Correlates with Cell Invasiveness. J Neuro-Oncology 81(2):113-21, 2007. Lee E, Jo M, Park J, Zhang W, and Lee JH. Alternative splicing variants of IRF-1 lacking exons 7, 8, and 9 in cervical cancer. Biochem Biophys Res Commun 347(4):882-8, 2006. Choi W, Cogdell D, Feng Y, Hamilton SR, and Zhang W. Activation of CES-2 gene expression by phosphorylated p53. Cancer Biology and Therapy. 5(11):1450-6, 2006. Akkiprik M, Nicorici D, Cogdell D, Jia Y, Tabus I, Yli-Harja O, Yu D, Sahingul A, and Zhang W. Dissection of Signaling Pathways in 14 Breast Cancer Cell Lines by Protein Lysate Array. Technology in Cancer Res Treatment (microarray special issue) 5:543-552, 2006. Guo M, Sneige N, Silva E, Cogdell D, Jan YJ, Lin E, and Luthra R, Zhang W. Distribution of eight oncogenic types of human papillomavirus (HPV) and HPV16 viral load and integration status in cervical carcinoma and cervical intraepithelial neoplasia. Modern Pathology 20:256-66, 2007. Feng Y, Sun B, Li X, Zhang L, Niu Y, Xiao C, Fang Z, Ning L, Zhang L, Wang Y, Cheng J, Zhang W, Hao X. Differentially Expressed Genes between Primary Cancer and Paired Lymph Node Metastases Predict Clinical Outcome of Node-positive Breast Cancer Patients. Breast Cancer Res Treatment. 103(3):319-29, 2007. Price N, Trent J, El-Naggar A, Cogdell D, Taylor EE, Hunt K, Pollock R, Hood L, Shmulevich I, and Zhang W. Highly Accurate Two-Gene Diagnostic Classifier for Differentiating Gastrointestinal Stromal Tumors and Leiomyosarcomas. Proc. Natl. Acad. Sci. USA 104:3414-19, 2007. Fan YH, Hu ZB, Li C, Wang LE, Guo Z, Qiao Y, Zhang L, Zhang W, Mao L, and Wei QY. Expression levels of cell cycle checkpoint protein ATM is associated with cellular DNA repair capacity in peripheral blood lymphocytes: a multivariate analysis. J Proteome Res. 6(4):1560-7, 2007. Jiang R, Choi W, Asad Khan, Kenneth Hess, Gerner G, Casero R, Yung WK, Hamilton SR, Zhang W. Activation of Polyamine Catabolism by N1, N11-diethylnorspermine Leads to Cell Death in Glioblastoma. Int J Oncol 31(2):431-40, 2007. Li X, Cao X, Li X, Zhang W, Feng Y. The Expression Level of IGFBP5 mRNA is a Prognostic Factor for Breast Cancer. Cancer Science 98(10):1592-6, 2007. Natarajan-Mendes K, Nicorici D, Cogdell D, Tabus I, Yli-Harja O, Guerra R, Hamilton SR, and Zhang W. Dissection of Signaling Pathways in 90 Cancer Cell Lines by Protein Lysate Array. J Proteome Res. 6:2753-67. 2007. Chen KX, Hu Z, Wang LE, Zhang W, Sturgis EM, and Wei Q. Potential Gene-Gene Interaction between Polymorphic P53BP1 and p53 Genes on Risk of Squamous Cell Carcinoma of the Head and Neck � A Case-Control Analysis. Clin Cancer Res. 13(14):4300-5, 2007. Dunlap SM, Celestino J, Wang H, Jiang R, Holland E, Fuller GN, and Zhang W. Insulin-like growth factor binding protein 2 promotes glioma development and progression. Proc Natl Acad. Sci. USA 104(28):11736-41, 2007. Sun X, Zhang W, Ramdas L, Stivers DN, Jones DM, Kantarjian HM, Estey EH, Vadhan-Raj S, Medeiros LJ, Bueso-Ramos CE. Comparative analysis of genes regulated in acute myelomonocytic leukemia with and without inv(16)(p13q22) using microarray techniques, real-time PCR, immunohistochemistry, and flow cytometry immunophenotyping. Modern Pathology 20(8):811-20, 2007. Armistead PM, Salganick J, Roh JS, Steinert DM, Patel S, Munsell M, El-Naggar A, Benjamin RS, Zhang W, and Trent JC. Expression of Receptor Tyrosine Kinases and Apoptotic Molecules in Rhabdomyosarcoma: Correlation with overall survival in 105 patients. Cancer 110(10):2293-303, 2007. Jiang R, Choi W, Hu L, Gerner EW, Hamilton SR, and Zhang W. Activation of polyamine catabolism by N1, N11-diethylnorspermine alters the cellular localization of mTOR and downregulates mTOR protein level in glioblastoma cells. Cancer Biology and Therapy 6(10):1644-8, 2007. Chen K, Hu Z, Wang L, Sturgis EM, El-Naggar AK, Zhang W and Wei Q. Single Nucleotide Polymorphisms at the TP53-Binding or Responsive Promoter Regions of BAX and BCL2 Genes and Risk of Squamous Cell Carcinoma of the Head and Neck. Carcinogenesis. 28(9):2008-12, 2007. Trent J, Lazar AJF, Zhang W. A molecular approach to resolve diagnostic dilemmas: The Case of Gastrointestinal Stromal Tumor and Leiomyosarcoma. Future Oncology 3(6):629-637, 2007. Yang J and Zhang W. WWOX tumor suppressor gene. Histology and Histopathology. 23(7):877-82, 2008. Nakamizo A, Amano T, Zhang W, Zhang XQ, Dunmire V, Ramdas L, Liu TJ, Shono T, Sasaki T, Benedict WF, Sawaya R, and Lang FF. Critical Role of Phosphorylation of Thr18 and Ser20 in p53-Mediated Apoptosis. Neuro-Oncology 10(3):275-91, 2008. Wang H, Arun BK, Wang H, Fuller GN, Zhang W, Middleton LP, and Sahin AA. IGFBP2 and IGFBP5 overexpression contributes to metastasis in T1 breast carcinomas. The Breast Journal. 14(3):261-7, 2008. Kleinbaum EP, Lazar AJF, Tamborini E, Chen LL, Strong L, Choi H, Benjamin RS, Zhang W, Trent JC. Familial Gastrointestinal Stromal Tumor With Loss Of Heterozygosity Of a KIT Exon 11 Deletion: Clinical, Histopathologic, Molecular, and Therapeutic Findings. International Journal of Cancer 122(3):711-718, 2008. Guo M, Gong Y, Deavers M, Silva E, Jan YJ, Zhang W, Cogdell D, Lin E, Luthra R and Sneige N. Comparison of in situ hybridization with PCR for detecting human papillomavirus DNA in cervical intraepithelial neoplasia and cervical carcinoma. Journal of Clinical Microbiology 46(1):274-80, 2008. Song FJ, He M, Li HX, Qian BY, Wei Q, Zhang W, Chen K, and Hao XS. A cancer incidence survey in Tianjin - the third largest city in China - between 1981 and 2000. Cancer Causes and Control. 19(5):443-50, 2008. Li HX, Hao XS, Zhang W, Wei Q, Chen K. The hOGG1 Ser326Cys polymorphism and lung cancer risk: a meta-analysis. Cancer Epidemiology Biomarkers & Prevention 17(7):1739-45, 2008. Chen LL, Holden JA, Choi H, Zhu J, Wu EF, Jones KA, Ward JH, Andtbacka R, Randall RL, Scaife CL, Hunt KK, Prieto VG, Raymond AK, Zhang W, Trent JC, Benjamin RS, and Frazier ML. Evolution from heterozygous to homozygous KIT mutation in gastrointestinal stromal tumor correlates with the mechanism of mitotic nondisjunction and significant tumor progression. Modern Pathology. 21(7):826-36, 2008. Miyazaki K, Yamaguchi M, Suguro M, Ogawa S, Ueno S, Ji Y, Choi W, Zhang W, Katayama N, Shiku H, Kobayashi T. Gene Expression Profiling of Diffuse Large B-cell Lymphoma Supervised by CD21 Expression. Brit J Hematology. 142(4):562-70, 2008. Zhang LN, Gu L, Qian BY, Zhang W, Wei Q , and Chen K. The association of genetic polymorphisms of ER-a and the estradiol- synthesizing enzyme genes CYP17 and CYP19 with breast cancer risk in Chinese women. Breast Cancer Res and Treat. 114(2):327-38, 2009. Conley AP, Trent J, and Zhang W. Recent Progress in the Genomics of Soft Tissue Sarcomas. Current Opinions in Oncology 20:395-399, 2008. Guo M, Lin CY, Gong Y, Cogdell DE, Zhang W, Lin E, Sneige N. Human papillomavirus genotyping for the eight oncogenic types can improve pecificity of HPV testing in women with mildly abnormal Pap results. Modern Pathology 21(8):1037-43, 2008. Yang J, Du X, Lazar AJF, Pollock R, Hunt K, Chen K, Hao XS, Trent J, Zhang W. Genetic Aberrations of Gastrointestinal Stromal Tumor. Cancer. 113:1532-1543. 2008. Chen K, Zhao H, Hu Z, Wang LE, Zhang W, Sturgis E, Wei Q. CASP3 Polymorphisms and Susceptibility to Squamous Cell Carcinoma of the Head and Neck. Clin Cancer Res. 14(19):6343-9, 2008. Yang J, Du X, Chen KX, Ylipaa A, Lazar AJF, Trent J, Lev D, Pollock R, Hao XS, Hunt K, and Zhang W. Genetic Aberration of Leiomyosarcomas. Cancer Letters, 275:1-8, 2009. Akkiprik M, Feng Y, Wang H, Chen KX, Sahin A, Krithnamurphy S, Hu L, , Hao X, and Zhang W. Multifunctional Roles of IGFBP-5 in Breast Cancer. Breast Cancer Res. 10(4):212, 2008. Lee EJ, Jo MH, Park JS, Zhang W, Lee JH. The downregulation of Dkk3 by epigenetic alteration leads to activation of �-catenin pathway in Cervical Cancer. International J of Cancer. 124(2):287-97, 2009. Lin Y, Jiang T, Zhou K, Xu L, Chen BS, Li GL, Qiu XG, Jiang TZ, Zhang W, Song SW. Plasma IGFBP-2 levels predict clinical outcomes of patients with high-grade gliomas. Neuro-Oncology. 11(5):468-76. 2009. Hu L, Hittelman W, Lu T, Ji P, Arlinghaus R., Ilya Shmulevich, Hamilton SR, Zhang W. NGAL decreases E-cadherin-mediated cell-cell adhesion and increases cell motility and invasion through Rac1 in colon carcinoma cells. Lab Invest 89(5):531-48, 2009. Wang YM, Ji P, Liu J, Broaddus R, Xue FX, Zhang W. Centrosome-associated regulators of the G2/M checkpoint as targets for cancer therapy. Mol Cancer 8:8, 2009. Akkiprik M, Hu L, Sahin A, Hao X, and Zhang W. The subcellular localization of IGFBP5 affects its cell growth and migration functions in breast cancer. BMC Cancer 9:103, 2009. Huang A, Hu L, Kauffman S, Zhang W, Shmulevich I. Using cell fate attractors to recover transcripitional factors linked to HL60 neutrophil differentiation. BMC Systems Biology, 3:20, 2009. Zou C, Smith KD, Liu J, Lahat G, Myers S, Wang WL, Zhang W, McCutcheon IE, Slopis JM, Lazar AJ, Pollock RE, and Lev D. Clinical, pathological and molecular variables predictive of malignant peripheral nerve sheath tumor (MPNST) outcome. Ann Surg. 249(6):1014-22, 2009. Yang H, Gu J, Wang KK, Zhang W, Xing J, Chen Z, Ajani JA, Wu X. MicroRNA Expression Signatures for Barrett's Esophagus and Esophageal Adenocarcinoma. Clin Cancer Res. 15(18):5744-52, 2009. Song FJ, Zheng H, Liu B, Wei S, Dai HJ, Calin GA, Hao XS, Wei Q, Zhang W, Chen KS. The miR-502-binding Site SNP in SET8 Gene is Associated with Early Onset of Breast Cancer. Clin. Cancer Res. 15(19):6292-300, 2009. Moore L, Holmes K, Smith S, Wu Y, Tchougounova E, Uhrbom L, Sawaya R, Bruner JM, Fuller GN, Zhang W. IGFBP2 is a candidate biomarker for Ink4a-Arf status and a therapeutic target for high-grade gliomas. Proc Natl Acad Sci 106(39):16675-9, 2009. Zhou X, Ren Y, Moore L, You YP, Jia ZF, Wang BL, Wang GX, Xu P, Ruan JS, Pu PY, Zhang W*, Kang CS*. Downregulation of miR-21 inhibits EGFR pathway and suppressed the growth of human glioblastoma cells independent of PTEN status. Lab Invest 90(2):144-55, 2010. *co-corresponding author. Leng X, Ding T, Lin H, Wang Y, Hu L, Hu J, Feig B, Zhang W, Pusztai L, Symmans WF, Wu Y, and Arlinghaus RB. Inhibition of lipocalin 2 impairs breast tumorigenesis and metastasis. Cancer Res. 69(22):8579-84, 2009. Wu Y, Song SW, Sun J, Bruner JM, Fuller GN, and Zhang W. IIp45 Inhibits Cell Migration through Inhibition of HDAC6. J Biol Chem 2010 285: 3554-3560. Yang J, Cogdell D, Yang D, Hu L, Li H, Zheng H, Du X, Pang Y, Trent J, Chen K, and Zhang W. Deletion of the WWOX gene and frequent loss of its protein expression in human osteosarcoma. Cancer Letters 291:31-38, 2010. Ji P, Smith SM, Wang YM, Jiang R, Song SW, Bruner J, Sawaya R, Kuan J, Yu HT, Fuller GN and Zhang W. Inhibition of gliomagenesis and attenuation of mitotic transition by MIIP. Oncogene 29(24):3501-8, 2010. Epub 2010 Apr 26. Wang YM, Yang D, Cogdell D, Hu L, Xue FX, Broaddus R, and Zhang W. Genomic characterization of gene copy-number aberrations in endometrial carcinoma cell lines derived from endometrioid-type endometrial adenocarcinoma. Tech Cancer Res Treat 9(2):179-89, 2010. Zhang L, Zhang W*, Chen KX*. Search for Cancer Risk Factors with Microarray-Based Genome-Wide Association Studies. Tech Cancer Res Treat 9(2):107-21, 2010 *co-corresponding author. Yang D, Ylipaa A, Yang J, Hunt K, Pollock R, Trent J, Yli-Harja O, Shmulevich I, Nykter M*, Zhang W*. An integrated study of aberrant gene copy number and gene expression in GIST and LMS. Tech Cancer Res Treat 9(2):171-8, 2010 *co-corresponding author. Cortez MA, Nicoloso MS, Shimizu M, Rossi S, Gopisetty G, Molina J, Georgescu M, Zhang W, Puduvalli V, Calin GA. MiR-29b and miR-125a regulate podoplanin and suppress invasion in glioblastoma. Genes, Chromosomes and Cancer (in press). Zhang L, Zheng H, Song F, Zhao Y, Lu H, Zhang W*, Chen K*. A Genetic Variant at the 3' Tail-to-tail Region of the Calcium Release Channel Gene RYR3 and Apoptosis Inhibition Gene AVEN Influences Both Breast Cancer Risk and Tumor Size. (submitted) *co-corresponding author. Klein, W.H., Tomlinson, C.R., Zhang, W., Xiang, M., Kozlowski, M., Gan, L., Nguyen, T. and Wessel, G.M. Ectoderm Differentiation and the Spec Family of Sea Urchin. Developmental Biology, UCLA Symposia on Molecular and Cellular Biology, 125:123-134, 1989. Deisseroth, A. B., Zhang, W., Cha, Y. et al. New Direction in the Biology and Therapy of Chronic Myeloid Leukemia. Leukemia and Lymphoma 6:89-95, 1992. Deisseroth, A. 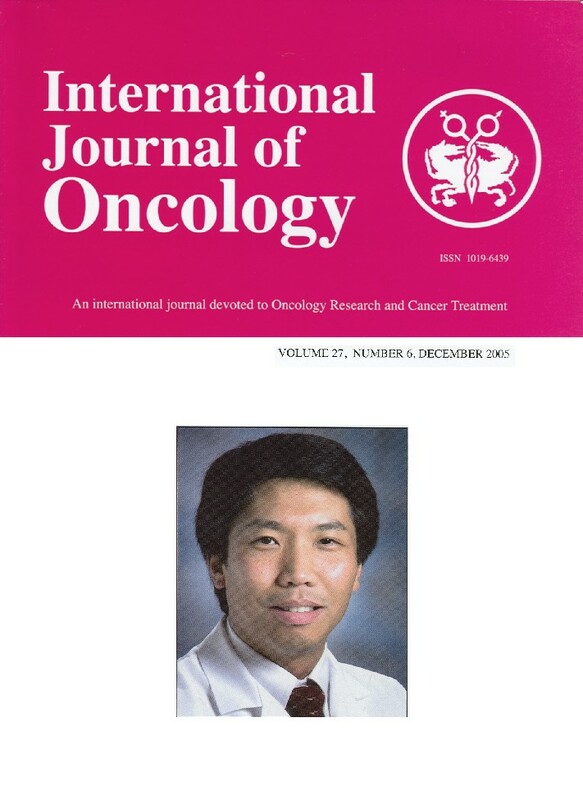 B., Kantarjian, H.,Talpaz, M., Champlin, R., Reading, C., Hanania, E., Fu, S., Randhawa, G., Cha, Y., Fang, X.-M., Kornblau, S., Pollicardo, N., Zhang, W. Molecular Approaches to the Diagnosis and Treatment of Cancer. Stem Cells 11: 129-130, 1993. Zhang, W., Chenchik, A., Chen, S., Siebert, P., and Rhee, C.H. Molecular profiling of human gliomas by cDNA expression array. J. Genetic Medicine 1:57-59, 1997. Munker, R., Zhang, W., Elstner, E., and Koeffler, H.P. Vitamin D analogs, leukemia and WAF1. Leukemia Lymphoma 31:279-284, 1998. Ramdas L and Zhang W. What's happening inside your microarray scanner? Biophotonics International, March 2002 issue pages 42-47. Fuller GN, Zhang W. New molecular methodologies in diagnostic and investigational neuropathology. Brain Pathology 12:53, 2002 (Commentary). Deisseroth, A., S. Sims, A. Wedrychowski, M. Romine, N. Paslidis, D. Seong, E. Johnson, T. Yuan, M. Fu, M. Hu, L. Hoston, P-Q, Gao, W. Zhang, D. Claxton, M. Herrick, D. Ellerson, R. Luttrell, G. Gooch, Y. Cha, S. Kornblau, C. Reading, and J. Kavanagh. (1991). Prospects for molecular therapy of solid tumors and hematopoietic neoplasms. In: Molecular Foundations of Oncology, Broder, S (ed), Williams & Wilkins, Baltimore, MD, pp.447-454. Deisseroth, A., A. Wedrychowski, D. Seong, S. Sims, N. Paslidis, D. Claxton, S. Kornblau, T. Yuan, E. Johnson, H. Kantarjian, M. Talpaz, W. Zhang, R. Champlin et al. (1991). Integration of molecular biology and genetics with biological and chemotherapeutic approaches to the rearrangement of chronic myelogenous leukemia (CML). In:Proc. of the 5th International Symposium on Autologous Bone Marrow Transplantation, Dicke K, Armitage JO, and Dicke-Evinger MJ (eds), pp. 229-236. Zhang, W., and A. B. Deisseroth. 1996. PCR sequencing aided by denaturant (formamide). Methods in Molecular Biology, PCR sequencing protocals, Volume 65, pp137-148. Ed. R. Rapley, Humana Press. Zhang, W., and A. B. Deisseroth. 2000. Direct PCR Sequencing with Denaturants. The Nucleic Acid Protocols Handbook. Ed. R. Rapley and J. M. Walker. Humana Press. Fuller GN, Ribalta T, Zhang W, Aldape KD. Diagnostic techniques in contemporary neuropathology. In: Atlas of Cancer: Neuro-Oncology, Markman, ed. Philadelphia: Current Medicine, Inc., 2002. Wang J, Coombes K, Baggerly K, Hu L, Hamilton SR, Zhang W. Statistical Considerations in the Assessment of cDNA Microarray Data obtained by Amplification Approaches. In: Computational and Statistical Approaches to Genomics, Zhang and Shmulevich, ed. Kluwer Academic Publishers. 2002. Fuller GN, Hess KR, Shmulevich I, Mircean C, Tabus I, Rhee CH, Aldape KD, Bruner JA, Sawaya R, Zhang W. Selection of a small subset of genes for human glioma diagnosis from quantized gene expression data. In: Computational and Statistical Approaches to Genomics, Zhang and Shmulevich, ed. Kluwer Academic. 2002. Choi W, Lang F, Zhang W. Functional Inactivation of p53 in Gliomas. In: Genomic and Molecular Neuro-Oncology. Zhang and Fuller, ed. Jones and Bartlett Publishers. 2003. Wang H, Fuller GN, and Zhang W. Insulin-like Growth Factors and Their Binding Proteins in Gliomas. In: Genomic and Molecular Neuro-Oncology. Zhang and Fuller, ed. Jones and Bartlett Publishers. 2003. Zhang W, Taylor E, Rhee CH, and Fuller GN. Glioma Transcriptomes: Classifiers and Classification. In: Genomic and Molecular Neuro-Oncology. Zhang and Fuller, ed. Jones and Bartlett Publishers. 2003. Tabus I, Mircean C, Zhang W, Shmulevich I, and Astola J. Transcriptome-based glioma classification using informative gene set. In: Genomic and Molecular Neuro-Oncology. Zhang and Fuller, ed. Jones and Bartlett Publishers. 2003. Ciprian Doru Giurcaneanu, Ioan Tabus, I. Shmulevich, and W. Zhang. Clustering genes and samples from glioma microarray data. In R. Dobrescu and C. Vasilescu, editors, Interdisciplinary applications of fractal and chaos theory, pages 157-171. The Publishing House of the Romanian Academy, Bucharest, Romania, 2004. Ramdas L and Zhang W. Microarray image scanning. In: Cell Imaging Techniques. Ed, Douglas J. Taatjes, Humana Press. 2006. Baggerly KA, Coombes KR, Hess KR, Stivers DN, Abruzzo LV, and Zhang W. Studendizing microarray data. In: Computational and Statistical Approaches to Genomics, Zhang and Shmulevich, 2nd ed. Springer, 2006. Wang J, Coombes K, Baggerly K, Hu L, Hamilton SR, Zhang W. Statistical considerations in the assessment of cDNA microarray data obtained by amplification approaches. In: Computational and Statistical Approaches to Genomics, Zhang and Shmulevich, 2nd ed. Springer, 2006. Hu J and Zhang W. Bioinformatic approaches to alternative splicing. In: Alternative Splicing, Julian P Venables ed. 2007.